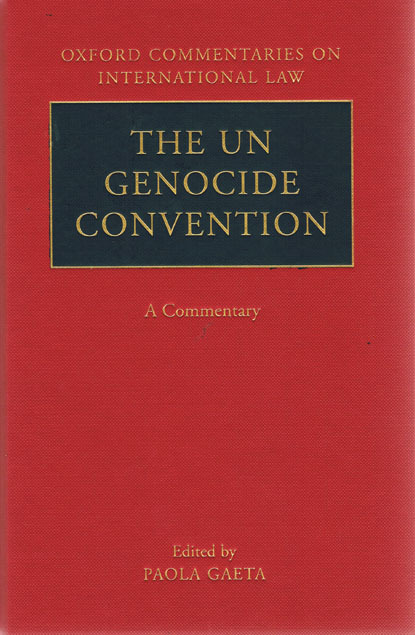 I am generally in agreement with Yoo that it is naïve to expect international tribunals to stop or prevent atrocities, at least not in the obvious sense of deterrence. I do not believe that genocidal criminals are susceptible to the usual inducements, i.e. that possible imprisonment in The Hague is a significant factor in their decision-making process. This is a frequent complaint that I have with much international criminal law scholarship, although I might be something of an outlier in this respect. What I find troubling about Yoo’s argument is that he implies that this skepticism about the deterrence capacity of international tribunals should entail skepticism about international tribunals themselves. But the one doesn’t follow from the other. That’s because international tribunals aren’t justified by deterrence as the consequentialist or utilitarian understands the concept. 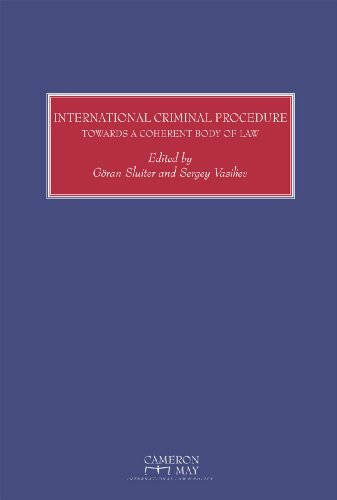 Rather, international tribunals are justified by retributivism, or the idea that international criminals ought to receive their just punishment, and that there is an inherent value to ending the impunity when no local jurisdiction is willing or able to prosecute them. For a retributivist, the consequences (like deterrence) do not matter. Just punishment provides its own rationale for the criminal process. 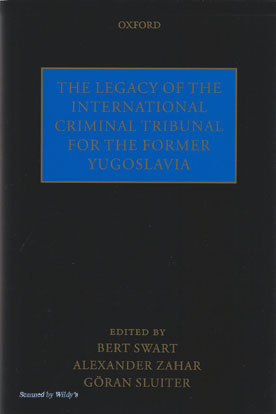 Of course, one might object that the Security Council’s creation of the ICTY and ICTR was premised on restoring international peace and security – an envisioned consequence to be sure – as understood by Chapter VII of the UN Charter. The same Chapter VII rationale also applies to binding referrals by the Security Council to the ICC. However, restoring international peace and security is not the same thing as deterrence as a consequence. International peace and security can be promoted even if international criminals are not deterred by the prospect of a trial in The Hague. Rather, international peace and security is promoted when victims (or more properly, victim groups) believe that perpetrators will receive their just deserts at an international court; without this belief, victims might engage in reprisals and exact revenge at the point of a gun. The existence of an international criminal forum prevents this cycle from continuing, but it has nothing to do with deterrence. 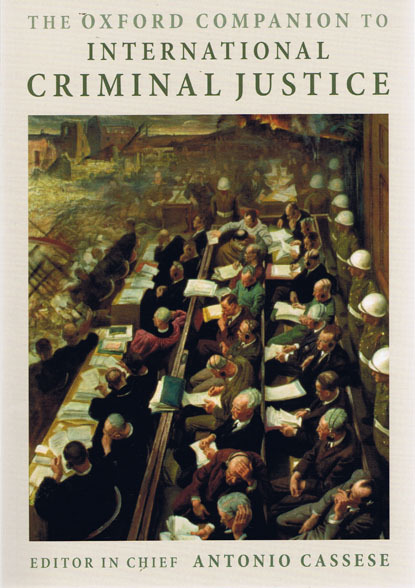 So although I’m with Yoo about the naivety regarding the deterrence function of international courts, I think it is a logical mistake to then conclude that the program of international criminal justice is misguided. First, the tribunals might still promote peace and security. Second, even if they didn’t, the inherent value of retributivism justifies them at a normative level. You say, on the one hand, that "For a retributivist, the consequences (like deterrence) do not matter. Just punishment provides its own rationale for the criminal process." You go on to argue that without faith in justice being served "victims might engage in reprisals and exact revenge at the point of a gun. The existence of an international criminal forum prevents this cycle from continuing, but it has nothing to do with deterrence." I agree with your analysis but that's deterrence isn't it? If the pursuit of retributive justice displaces the possibility of retributive violence, then, logically, violence (and potentially atrocities) has been deterred. One could reply arguing that deterrence is only intended to take into consideration the acts of the individuals targeted by international tribunals. Most of the literature certainly points in this direction. But that would seem to be an unnecessary limitation in theorizing deterrence. I also don't agree that retributivists aren't concerned with consequences. Leslie Vinjamuri has a great piece on this, detailing how proponents of international criminal justice have increasingly framed their arguments in terms of consequential logics. In the end, though, I'm inclined to agree with Schabas who noted that deterrence suffers from the reality that it is only possible to prove that it does not work and never that it does. Thanks for he post and the consistently interesting blog! Mark, thanks for your comment. I can explain further. My view is retributive at the individual level, though consequentialist at the collective level. By that I mean that although the victims of atrocities want the perpetrators to receive their just deserts, the punishment of the perpetrators gives the victim group a reason not to engage in reprisals and take justice into their own hands. Although this collective level is consequentialist, it is not based on deterrence, at least not in the sense in which criminologists refer to general or specific deterrence. It is not based on a fear of future punishment. Why go through this complicated account? Why not stick with a completely retributive account? The hybrid account is necessitated by the Chapter VII requirement that the ad hoc tribunals, and ICC referrals, repair international peace and security, which is a consequentialist norm. A few account of my view can be found at http://ssrn.com/abstract=1266702. As for the view that you ascribe to Vinjamuri, I'm a bit confused. A straightforward retributive account is not consequentialist, based on my understanding of the definition of retributivism, although perhaps the view you are referring to is a hybrid account like the one I presented above?